Welcome to Poggi Plastic Surgery! 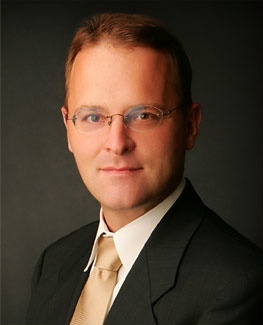 Dr. Joseph Poggi’s goal is to provide patients with the highest quality plastic surgical care. This begins with your initial consultation at our Wichita, Kansas office and continues through the final result of your plastic surgery procedure. The decision to have a cosmetic or reconstructive procedure is a serious one that should not be made quickly or lightly. You and Dr. Poggi will discuss your needs and expectations to help you make an informed decision. 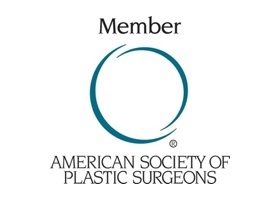 Dr. Poggi is certified by the American Board of Plastic Surgery and dedicated to providing outstanding service from the moment you enter his office through your recovery and beyond. With his team of highly trained professionals, Dr. Poggi seeks to provide the highest quality care in a state-of-the-art environment where the patient’s safety is always the top priority. You are a wonderful doctor and I cannot thank you enough for all of your help in everything you have done. Thanks to you and your staff for putting the pieces of my life back together. Thank you for all your support and thank you for helping me make the best decision of my life. I can't thank you enough for the wonderful care you've given me. Thank you for all your help during and after my surgery. You and your staff are all wonderful people. I appreciate everything you have done for me. Just wanted to tell you all thanks, again, for your kindness and care throughout this surgery. I was blessed to find your service and am thankful. My most sincere thanks for your great care. I am so happy with my results. Sincerely. This has changed my life. It’s terrific. I’ll tell everybody about this. I was taking medications everyday for the last 18 years until I had my surgery with Dr. Poggi, which totally changed my life, in Jesus name. I wanted you to know that because of your sincere hearts and joyful attitudes I recovered from this experience faster than most people thought I would. I am thankful God put all of you in my path. I truly believe that without your help I wouldn't have the positive attitude I have today. Not to mention that my body hasn't looked this good since high school! I pray we never have to meet under the same circumstances, but if it does happen I know who to call! Trust is a beautiful gift. I trusted you to guide me on this journey and I was not disappointed. Thank you for your compassion, patience, and skill, and thank you, again, for your part in my triumph over mind, body, spirit, and cancer. Thank you. I want to thank you so much for all you've done for me. I look back and think ...what a crappy year, but then I realize it was one of the best years of my life. Not only did I survive cancer, but I've begun to understand how precious life is and that we should never take it for granted. You have been a vital part of my recovery and I've never felt so good about looking at myself in the mirror each day. Thank you for that boost of confidence. I truly appreciate all of the kindness you expressed during our visits. You will never know how grateful I am for all that you did. Starting with being an excellent surgeon, I chose you because of your reputation. Your perfectionism speaks highly of you. Your excitement when you explain things just verifies your commitment to your work. You don't just do cosmetic surgery, you help rebuild lives. Thank you all so very much for your kindness and for being so helpful. I am so happy that I was told about you. I am so pleased with my results and wanted to let you know that you do wonderful work. I would recommend you to anyone. Your staff is extra special to work with, too. Thanks to everyone. Love! I want to thank you for the excellent care that was given to me by you and your staff. I love the way my new breasts look and the difference I have experienced with my back. Having the surgery was the best thing I could have done. I tell everyone that if they need any cosmetic surgery, Dr. Poggi is the doctor to see! You are #1 in my book! You are very talented. Your skill and compassion were a Godsend in a very difficult time. Thanks for your extra time and effort. Add us to your long list of satisfied clients. You turned a life-altering injury into a small bump in the road. Thank you so much.